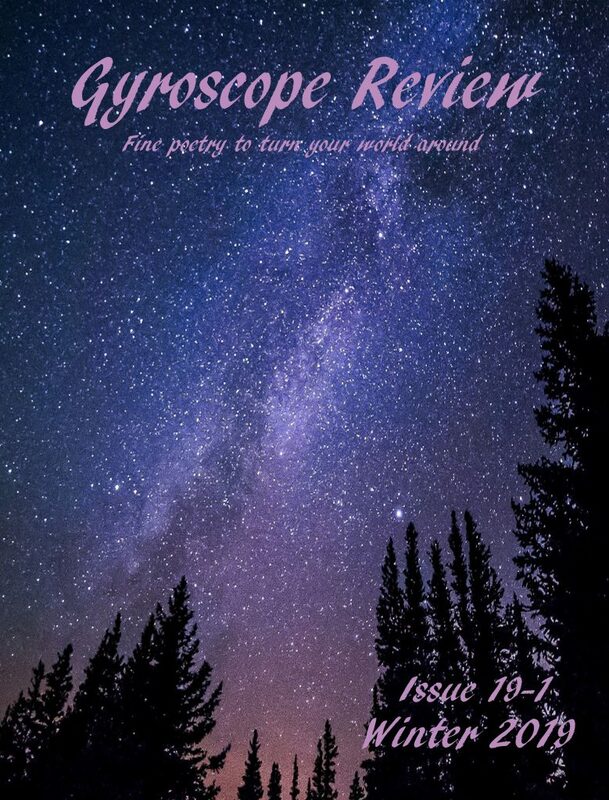 We are pleased to offer you the latest issue of Gyroscope Review, a collection of poetry to get you through the rest of the winter. 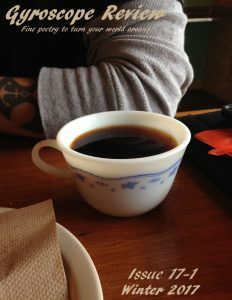 Thirty-eight poets share their sharp, elegant snapshots of wintery landscapes, cozy spaces, important relationships, and those ordinary moments that unexpectedly shift our vision. We offer both print and Kindle editions available through Amazon HERE. We also, as always, offer our PDF version right here on our website, available HERE. Come on back on Groundhog Day for an announcement! We are cooking up plans for both National Poetry Month and our Fourth Anniversary Issue. In the meantime, submissions for our Spring 2019 (Fourth Anniversary Issue) are now open. Please read our guidelines for more information. Submissions may be sent to us through Submittable until March 15 OR until our spring issue is full. The Underground is Coming Up! Here it is halfway through October and I’m still wondering where summer went. This year seems to have gone swiftly. But one thing Gyroscope Review is doing slowly is adding more options for our readers. Months ago, we were proud to roll out a print edition for those of you that prefer the hands on experience. It involves extra time to create, but we think the end result is worth it. This month we are also proud of our newest accomplishment. We now have a Kindle edition available for those of you that prefer an electronic version. I know I’m getting overwhelmed by books at my house, and have turned to electronic novels as a way of combating that. Sometimes the Kindle edition formatting leaves much to be desired, but it seems to have worked nicely for Gyroscope Review. Poems may take up two pages where in the print edition it’s only one, but that’s minor in the grand scheme of things. The print edition is in a large format at 8.5 in by 11 in. As always, the PDF version is available for computer, tablet and phone. We are planning further changes in the upcoming months, including an overhaul of the website to bring you the freshest look and features. Gyroscope Review has come a long way from its humble beginnings, and we are excited about that. We are open to readers’ suggestions. Hit us up on Facebook or Twitter and let us know your thoughts. A future poll is possible. Technology is a wonderful tool. Meanwhile, we’d like our submitting poets to focus on the upcoming Winter issue. If you’ve got any poems about the ‘underground’, (a loose interpretation) send them our way. Also in our Winter issue we will be trying something different. See if you can spot the change. Hope to read your work soon.